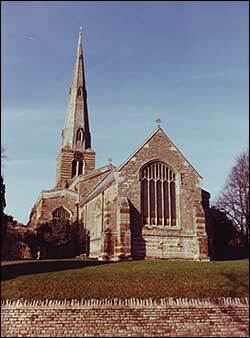 The present church dates from the thirteenth century, on the site of an earlier one built around 1100, and is dedicated to St Katherine of Alexandria. An usual feature is a bread oven from the 13C, that was used to bake altar bread. 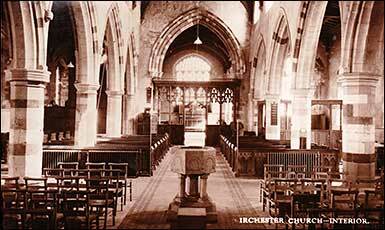 The font also dates from 13C, and some the oak pews date back to the 15C as do panels in the Chancel Screen. The pulpit is Jacobean. In 1860 an organ was built in the Lady Chapel which also has a window in memoriam to the Ward family. The East Window is a memorial to R W Arkwright and T A Macan by the members of the Oakley Hunt. In the North Isle has a window dedicated to Saint Katherine, and the South Isle has a window to St John the Baptist, both installed in 1926. The tower with spire is topped with a weather vane pierced in the form of a Katherine wheel and rises to 160 feet. 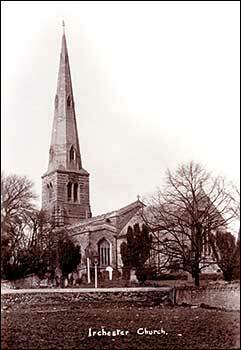 There are eight bells, the three small bells being added in 1930 when the church clock was replaced.